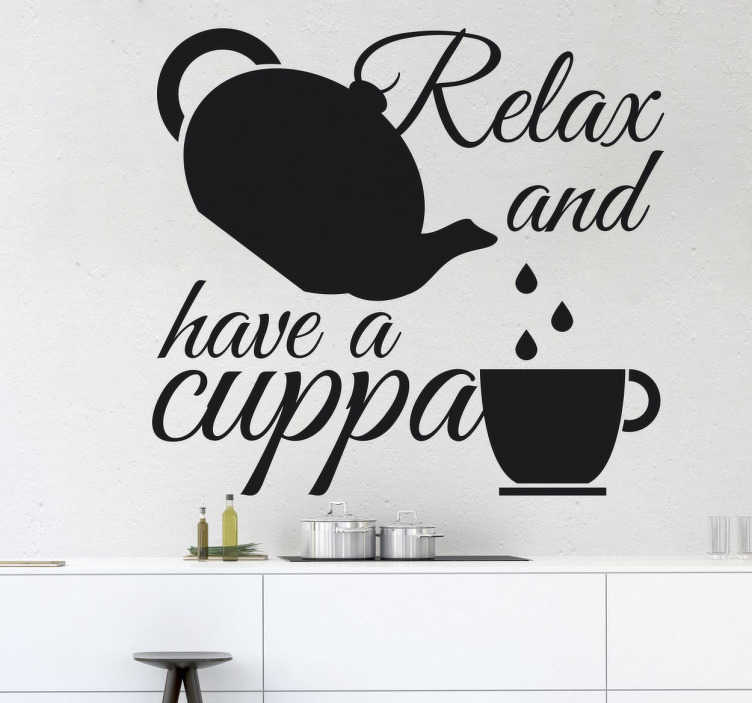 A great text sticker that is perfect for all tea drinkers to decorate their kitchen, or any room in their home. Who doesn't love to relax with a warm cup of tea? Now you can enjoy these special moments even more with this decal that can add a welcoming touch to your home. This text has a fun and colloquial way of telling you to take some time out to drink some tea. Ideal for homes and also businesses such as cafes and restaurants to decorate in a fun and friendly way. Choose from a range of sizes and colours in order to best suit you.